Fernandes C, Gaspar MJ, Pires J, Alves A, Simões R, Rodrigues JC, Silva ME, Carvalho A, Brito JE, Lousada JL (2017). Physical, chemical and mechanical properties of Pinus sylvestris wood at five sites in Portugal. iForest 10: 669-679. The reduction of resinous species in Portuguese forest areas has caused constraints to wood industry supplies. Portugal represents the extreme southwest of Scots pine (Pinus sylvestris) natural distribution and large gaps exist in the knowledge of its wood-quality characteristics. Understanding the relationship between these traits is important for recognizing which combination of wood properties is the most suitable for specific uses. To address these questions, we assessed wood-quality traits, namely, wood-density components (microdensitometric analysis), chemical composition (NIR spectrometry) and mechanical properties (bending tests) of wood samples collected at five representative forest sites in Portugal. Our results showed that Portuguese Pinus sylvestris has good radial growth and denser wood, higher extractive content and higher stiffness and strength than northern European provenances. The lignin content was within the range attributed to softwoods. 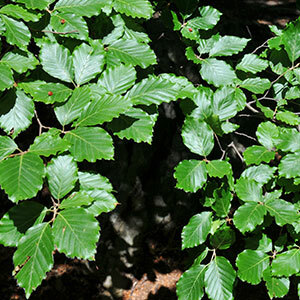 Among the Portuguese stands, trees growing at lower-altitude sites exhibited denser wood and higher mechanical properties, while trees from high-elevations showed higher amounts of lignin. Ring density was more strongly correlated with earlywood than latewood density. A negative, non-significant correlation was found between ring density and width, supporting the assumption that the higher radial growth (ring width) does not negatively affect wood quality (density). In general, chemical properties had a weak relationship with physical and mechanical properties (MOE and MOR). Both mechanical traits were positively correlated with density and growth components, supporting the assumption that trees with high radial growth do not exhibit poorer mechanical performances. Relationships between intra-ring variables in mature Douglas-fir trees from provenance plantations. Wood and Fiber Science 25 (2): 182-191. Differences of pine (Pinus sylvestris L.) wood physical and mechanical properties from different forest site types in Lithuania. Baltic Forestry 12 (1): 9-13. Calibration of NIR to assess lignin composition (H/G ratio) in maritime pine wood using analytical pyrolysis as the reference method. Holzforschung 60 (1): 29-31. Non-destructive evaluation of Scots pine (Pinus sylvestris L.) to determine timber quality following conversion to continuous cover forestry systems. Master of Science Dissertation, University of Edinburgh, Scotland, UK, pp. 62. Models for predicting wood density variation in Scots pine. Forestry 87 (3): 449-458. Improvement of Pinus pinaster Ait. elite trees selection by combining near infrared spectroscopy and genetic tools. Holzforschung 61 (6): 611-622. Within-and between-tree variation in lignin concentration in the tracheid cell wall of Pinus radiata. New Zealand Journal of Forestry Science 15 (3): 361-369. Mechanical characterization of timber from Spanish provenances of Laricio Pine, according to European standards. Wood Science and Technology 38 (1): 25-34. Estimating genetic parameters for wood density of Scots pine (Pinus sylvestris L.). Silvae Genetica 55 (2): 84-91. Age trends in genetic parameters of wood density components in 46 half-sibling families of Pinus pinaster. Canadian Journal of Forest Research 38 (6): 1470-1477. Genetic correlations between wood quality traits of Pinus pinaster Ait. Annals of Forest Science 65 (7): 703-703. Does selecting for improved growth affect wood quality of Pinus pinaster in Portugal? Forest Ecology and Management 258 (2): 115-121. Genetic variation of chemical and mechanical traits of maritime pine (Pinus pinaster Aiton). Correlations with wood density components. Annals of Forest Science 68 (2): 255-265. Effects of altitude on tracheid differentiation and lignification of Norway spruce. Canadian Journal of Botany 79 (7): 815-821. Variations in the radial growth and wood density components in relation to cambial age in 30-Year-Old Pinus brutia Ten. at two test sites. Trees 26 (3): 975-986. Modelling the variation in modulus of elasticity and modulus of rupture of Scots pine round timber. Canadian Journal of Forest Research 40 (4): 668-678. Wood density, annual ring width and latewood content in larch and Scots pine. Eurasian Journal of Forest Research 8 (2): 91-96. Wood properties of Scots pines (Pinus sylvestris) grown at elevated temperature and carbon dioxide concentration. Tree Physiology 23 (13): 889-897. Inter-tree and Intra-tree variations in ring width and wood density components in balsam fir (Abies balsamea). Wood Science and Technology 38 (2): 149-162. Phenotypic correlations between juvenile-mature wood density and growth in black spruce. Wood and Fiber Science 32 (1): 61-71. Effects of recent minimum temperature and water deficit increases on Pinus pinaster radial growth and wood density in southern Portugal. Frontiers in Plant Science 7 (595): 131. Modeling lumber bending stiffness and strength in natural black spruce stands using stand and tree characteristics. Forest Ecology and Management 242 (2-3): 648-655. The heritability of wood density components in Pinus pinaster Ait. and implications for tree breeding. Annals of Forest Science 59 (8): 867-873. Genetic correlations between wood density components in Pinus pinaster Ait. Annals of Forest Science 60 (3): 285-294. Radial modulus of rupture in radiata pine measured by individual rings. Journal of Wood Science 47 (3): 233-236. Differences in growth and wood density traits in Scots pine (Pinus sylvestris L.) genetic entries grown at different spacing and sites. Silva Fennica 43 (3): 339-354. Wood chemistry in relation to quality. In: “Wood quality and its biological basis” (Barnett J, Jeronimidis G eds). John Wiley and Sons. Blackwell, Oxford, UK, pp. 53-86. Relationship between wood anatomy, tree-ring widths and wood density of Pinus sylvestris L. and climate at high latitudes in northern Sweden. Dendrochronologia 32 (4): 295-302. Physical properties of wood in thinned Scots pines (Pinus sylvestris L.) from plantations in northern Spain. Annals of Forest Science 65 (5): 507-507. Growth and basic wood properties of black spruce along an alti-latitudinal gradient in Quebec, Canada. Annals of Forest Science 72 (1): 77-87. Improving models of wood density by including genetic effect: a case study in douglas-fir. Annals of Forest Science 58 (4): 385-394. Properties of wood and pulp fibers from lodgepole pine (Pinus contorta) as compared to scots pine (Pinus sylvestris). BioResources 7 (2): 1771-1783. Application of near infrared spectroscopy to the extracted wood of a diverse range of species. Iawa Journal 24 (4): 429-438. Determination of lignin content in Norway spruce wood by Fourier transformed near infrared spectroscopy and partial least squares regression. Part 1. Wavenumber selection and evaluation of the selected range. Journal of Near Infrared Spectroscopy 19 (5): 319-329. Determination of lignin content in Norway spruce wood by Fourier transformed near infrared spectroscopy and partial least squares regression. Part 2. Development and evaluation of the final model. Journal of Near Infrared Spectroscopy 19 (5): 331-341. Analytical methods in wood chemistry, pulping, and papermaking. Springer Series in Wood Science, Springer-Verlag Berlin Heidelberg, Germany, pp. 318. Variation in wood properties among five full-sib families of Norway spruce (Picea abies). Annals of Forest Science 64 (8): 799-806. Variations in the chemical composition within pine (Pinus sylvestris) trunks determined by diffuse reflectance infrared spectroscopy and chemometrics. Cellulose 13 (1): 53-61. Wood density of Scots pine (Pinus sylvestris L.) trees broken by wind. Annals of Warsaw University of Life Sciences - SGGW, Forestry and Wood Technology 76: 144-148. Science and technology of wood-structure, properties, utilization. Van Nostrand Reinhold, New York, USA, pp. 494. Wood density variations of Norway spruce (Picea abies L. Karst.) under contrasting climate conditions in southwestern Germany. Annals of Forest Research 56 (1): 91-103. MOE and MOR in static bending of small clear specimens of Scots pine, Norway spruce and European fir from Finland and France and their prediction for the comparison of wood quality. Paperi ja Puu 84 (5): 332-340. Models for predicting wood properties in stems of Picea abies and Pinus sylvestris in Sweden. Scandinavian Journal of Forest Research 17 (4): 330-350. Variability of selected wood characteristics in 40 half-sib families of Black spruce (Picea mariana). Wood Science and Technology 32 (1): 71-82. Wood variation - its causes and control. Springer Series in Wood Science, Springer-Verlag Berlin Heidelberg, Germany, pp. 363.